my life and things that make me happy. mostly food. Corned beef. Boxty. Beer. Seriously, what’s not to love about an Irish pub? I had a LivingSocial deal for Pj McIntyre’s located in West Park/Kamm’s Corner area. Walked out stuffed and with enough food for 6 more meals. Not kidding. $30 through LivingSocial (but I paid $13) sure went a long way. We ordered the reuben dip appetizer. OMG. This is the best thing ever. It came with boxty chips. I knew what boxty was, wasn’t sure what boxty chips were. Ummm. Eat these. It’s like they made boxty then instead of cooking them on a griddle they were fried. They are spongy yet crispy and phenomenal. The dip itself was so-so, good but more cheesy than anything else and the flavor of the sauerkraut was lost. The item on the menu we wanted the most was the stuffed boxty. It was a GIANT boxty stuffed with corned beef, sauerkraut, and swiss cheese. Probably 3 inches thick. It was intimidating. After being blown away by the boxty chips, I wasn’t all that impressed with the actual boxty. It also came paired with a dip that was horseradish based, I would have better liked a thousand island sauce. Not saying it wasn’t good, just didn’t compare to the chips. Their corned beef is tender and flavorful. Our waitress was fun and charming. We enjoyed our overall experience at this place. Will definitely look for another livingsocial deal. Can’t beat 8 meals for $17 + tip! party like it’s st. patrick’s day. 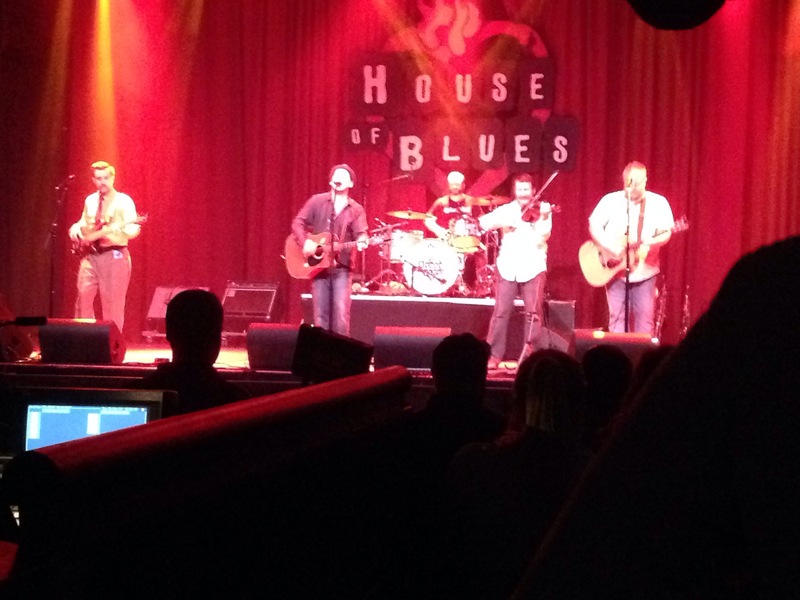 Last night I went out to the Cleveland House of Blues for their Halfway to St. Patrick’s Day Party. I was one of maybe 100 in attendance. I’ve never seen the HOB so empty. I’m guessing it’s because they were charging $6.75 for a Miller Lite. Insanity! I seriously debated just handing that beer back to the bartender. I don’t even like Miller Lite but they only had that or Guinness to choose from. And I recently had a Guinness float and now I can’t drink my Guinness without ice cream! Don’t make a face. Try it. Game changer. I had one beer there. I thanked myself this morning. I did not feel like garbage, I was not dying of thirst, AND I made it to work on time (for the first time in 2 weeks). Have you ever watched an Irish band perform? I have. Many times. I actually enjoy it. The band is always dancing around and they just have so much joy on their faces. I love high positive energy people. Have you ever watched an Irish band perform and understood the lyrics? I can’t say I have. I assume most songs are about drinking, but I could be completely wrong. I am a fast talker but I just can’t do it. I can’t understand. Oh well, I will always go watch either way. Great performers! Anyways. This party seemed like it could have been such a cool event, but I wasn’t that stoked in the end. I’ve been to the HOB on St. Patrick’s Day and it was rocking with people and cheaper beer. In the end I had a great day downtown, eating, gambling, and walking 9872349837 miles. Visit elaina 's profile on Pinterest.